A Sneak Peek Into Easter! Easter is one of my favourite times of the year! The weather is warming up, the grass is extra green, cute baby animals are all out to play and most of all… chocolate. Lots and lots of chocolate! When I was little, my favourite part of celebrating Easter was the annual egg hunt! My mum used to spend what seemed like forever, hiding a multitude of strategically placed clues that we had to gather and solve to reach the final prize… the golden egg! 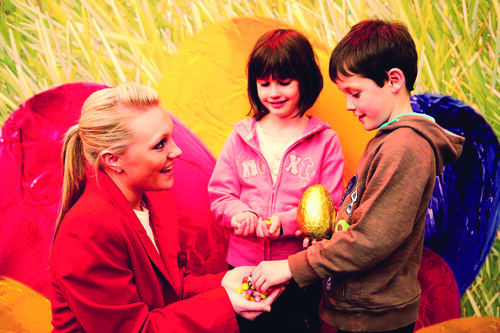 Here at Butlins, we create a resort-wide Easter Egg hunt for all the family to get involved in! Set off around the resort solving clues and once you have completed the trail, you will be rewarded with a special Easter treat! We always love to see your pictures, so why not upload a snap of your family completing the Easter Egg hunt to our Facebook page! I am a big animal lover, so my favourite part of Easter on resort is the Spring Farmyard! Full of cute little baby animals all fresh and furry; make sure you pop along and get to see them all up close. We have lots of wonderful themed activities ready for you during this break! 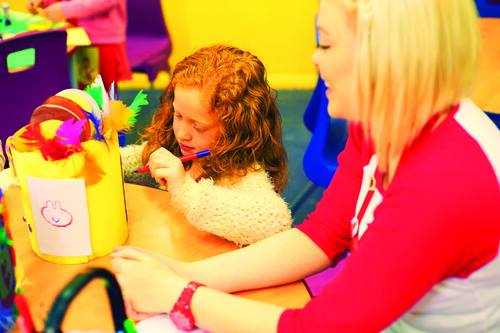 In our Get Busy Easter Arts and Crafts sessions you can make and decorate your own Easter Bonnet, Club Red you can decorate a mini wooden egg cup and for a little extra, you can make Easter Mugs! 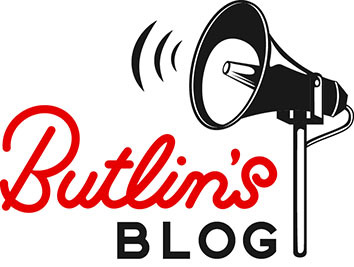 Don’t forget to tweet us pictures of your makes to @Butlins. Join our very own Bonnie Bear in her fabulous Easter parade around the Skyline Pavilion! This is the perfect opportunity to show off the beautiful Easter bonnets you made in our Get Busy Easter Arts and Crafts sessions. Take a look at the pictures below to see some of our smaller fashionistas rocking their bonnets during Bonnie’s show! We also have our fantastic range of live entertainment available during your Easter holiday break! Get creative with Mister Maker, feel the energy of Diversity, or go on a magic carpet ride with Aladdin Rocks! Not forgetting our new shows Custard and Buffalo Billy and our favourite puppy in his mystery machine – Scooby Doo! You can find our full list of live shows by clicking here! Take a look at the adventures of the very cute Elizabeth (age 5) and Alice (age 2) when they came to see us last year in Bognor Regis! This holiday diary shows just a snippet of the fun they had on their stay!